The sun was mighty that afternoon, my friends! 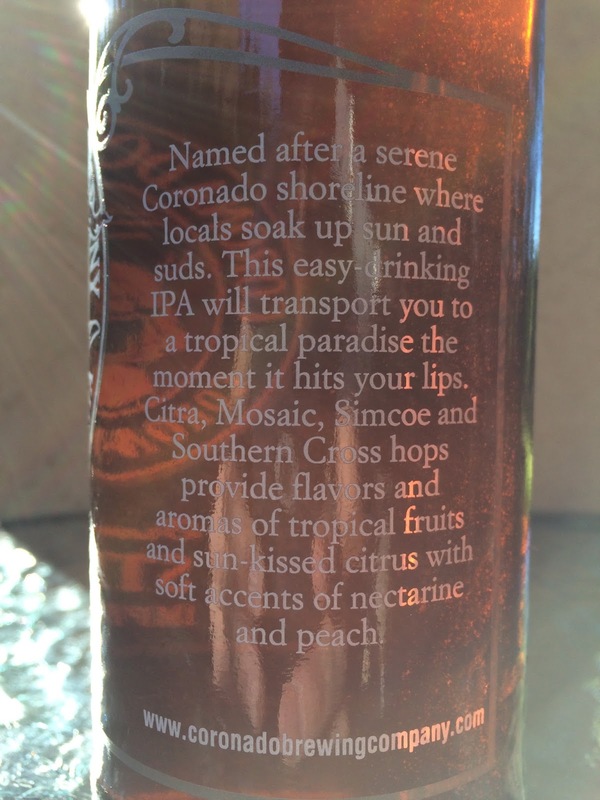 You know, I'd love to see Coronado Brewing's mermaid babe's hair in the wind we got going in Miami today! 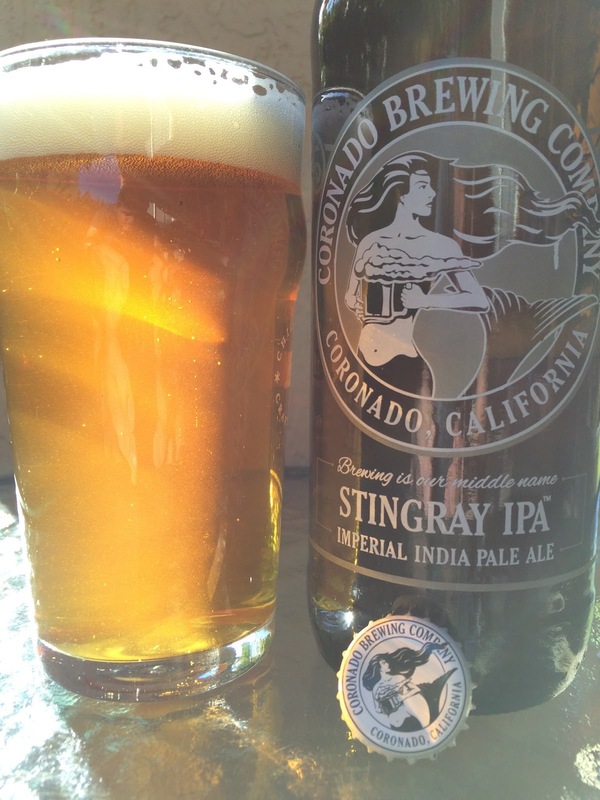 Her hair on the label seems to just float on a California breeze but is probably no match for this crap here today. Anyway I decided to see for myself. 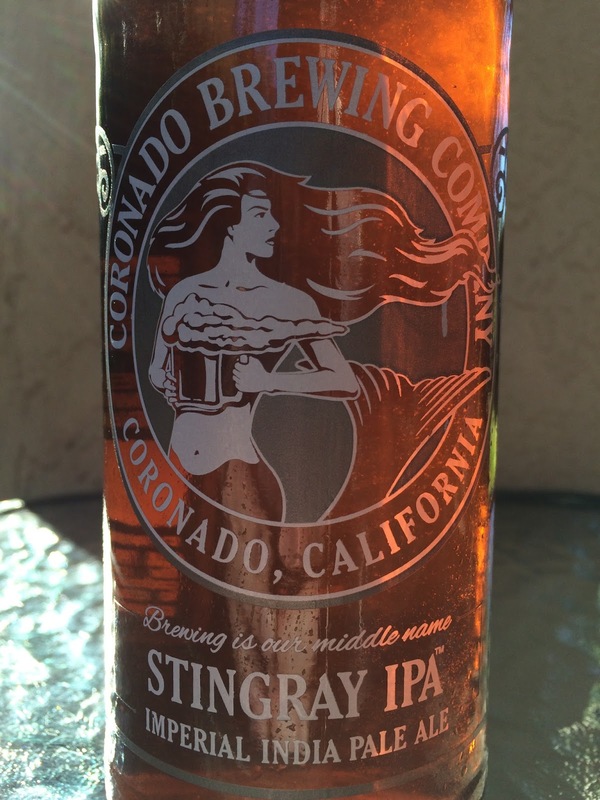 Besides inviting said mermaid over for a beer, I cracked open a bomber of Stingray Imperial IPA. Beautiful tropical peach and tangerine aroma. Tropical fruity peach and tangerine yum to start. Piney bitterness and some spicy sharp nips tantalize the palate immediately afterward. There is a see-saw of sweet and bitter, a competition between the sweet gentle fruit and the hoppy spicy citrus. And I love that! Great beer, but the mermaid never showed! Oh well. Her hair on the bottle, however, endured today's breeze. Update 7/29/2016: Stingray is now available in cans. Same awesome tropical orange and honey sweetness meets spicy hoppy bitterness and is now beach ready! Below are a few pictures. Mermaid still playing hard to get!